Uncompromised, reliable, and hassle-free services from our site safety firm in Manhattan. Having a site safety firm you can trust is imperative as you work through your next project. Menotti Enterprise will not only identify potential on-site hazards, but also prevent future incidents from taking place. Give us a call today and see how our professionals can assist with your upcoming project. 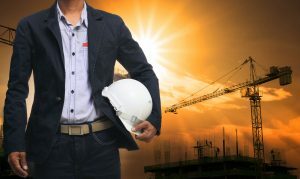 Menotti Enterprise is well-versed in a number of construction project types including the government, education, retail, commercial, and residential industries. Our contractors pride themselves on reducing clients’ liabilities during each phase of construction. A proven risk management firm such as Menotti Enterprise can save your team time and money. By working with Menotti, you can worry less about stop work orders, insurance premiums, legal fees, and safety violations. Our risk management services include site safety management, fire safety management, and concrete safety management. Whether your project entails just a few minor renovations or a $1 billion program, turn to Menotti Enterprise for construction management. We will be there for every step of the way, from initial supervision and coordination to scheduling and closeout. Start the process today and give us a call. It’s one thing to go about projects in an efficient manner. It’s another, though, to do so without compromising everyone’s safety. We encourage you to ask our engineering team about site safety plans, DOT logistics plans, construction site engineered drawings, and more. At Menotti Enterprise, “exceptional” is always the standard. See for yourself what makes us the No. 1 choice for site safety and management in NYC.